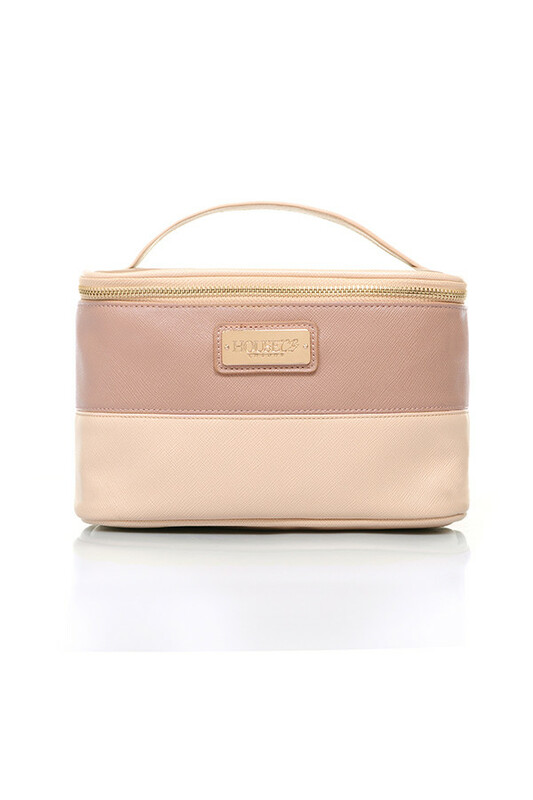 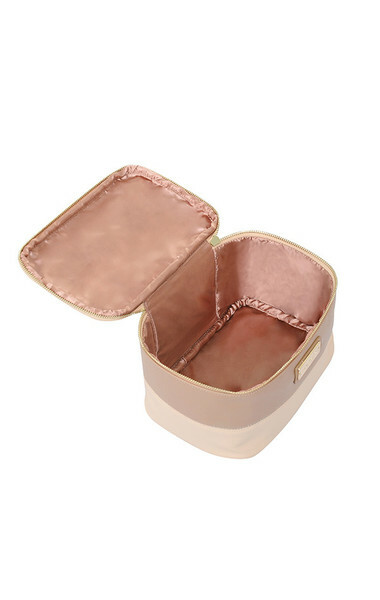 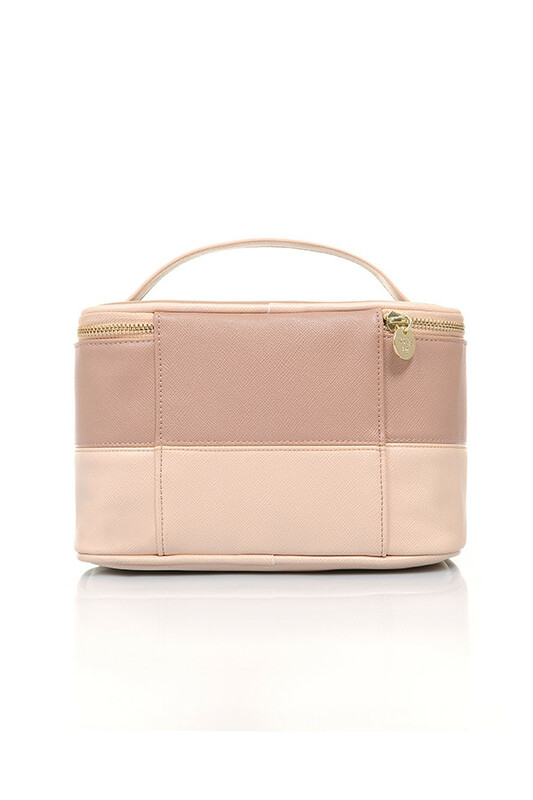 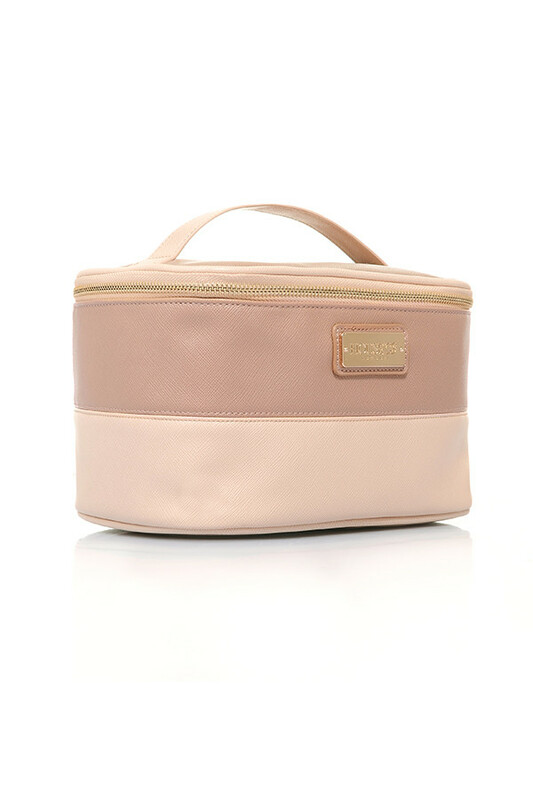 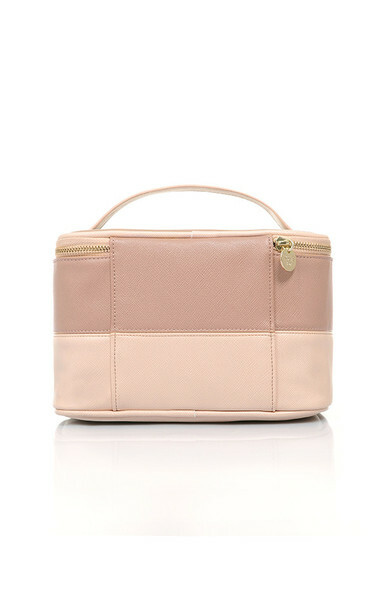 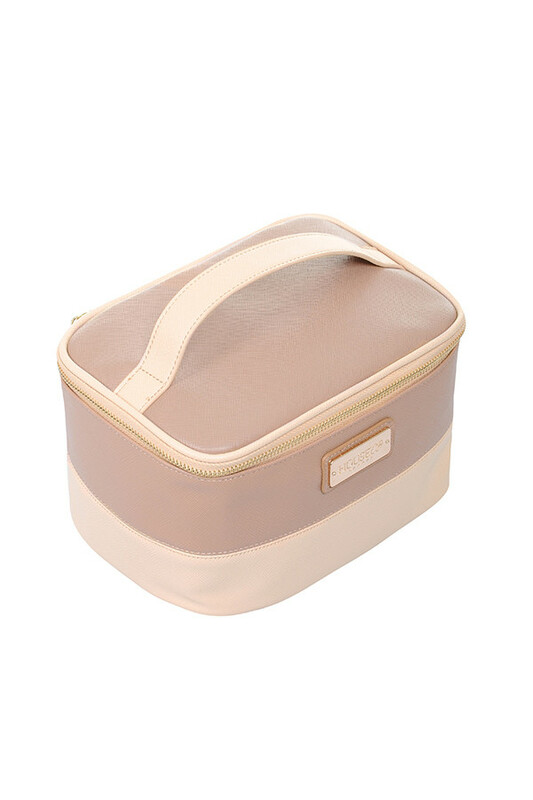 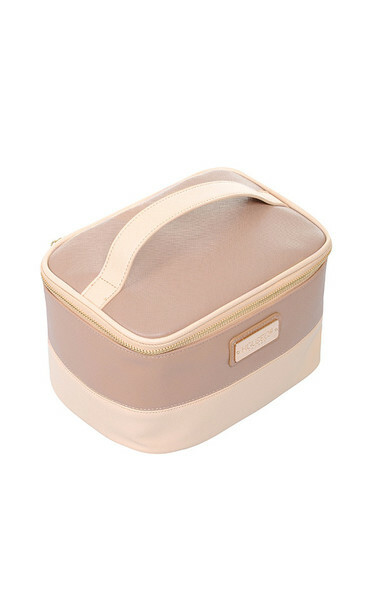 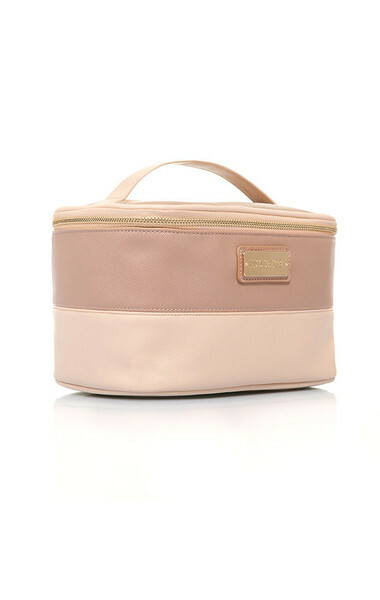 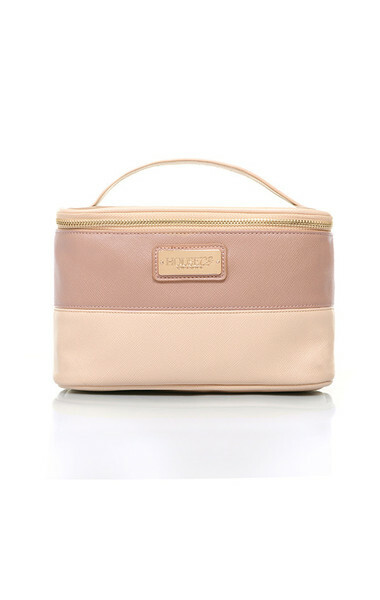 This super functional cosmetic carry all is perfect for keeping all of your make up items safe. 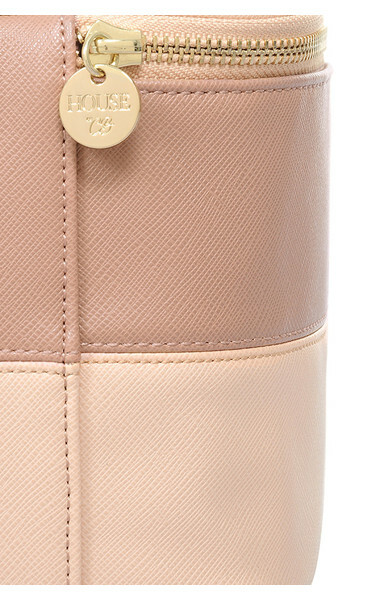 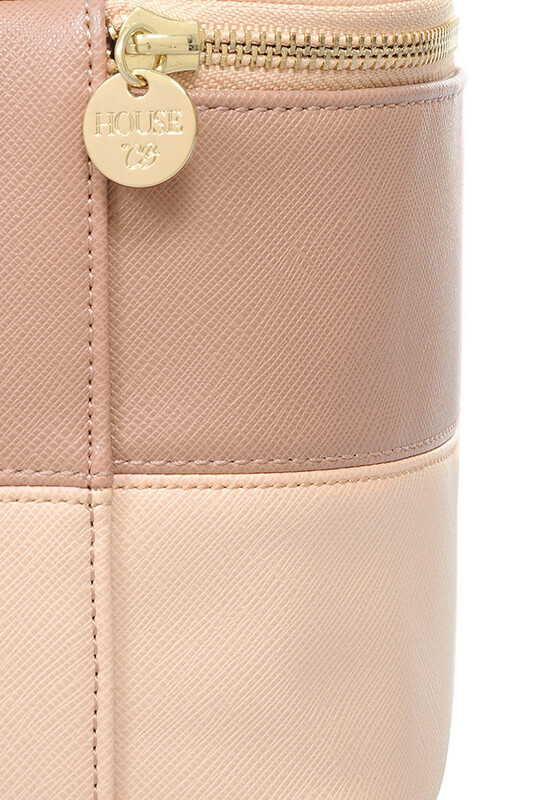 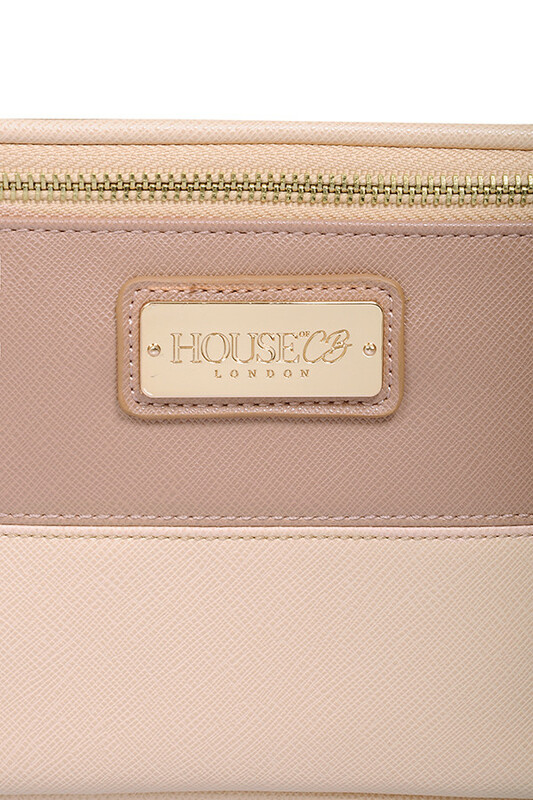 Made from a two tone vegan leather, it features a zip round fastening, top handle and spacious interior. 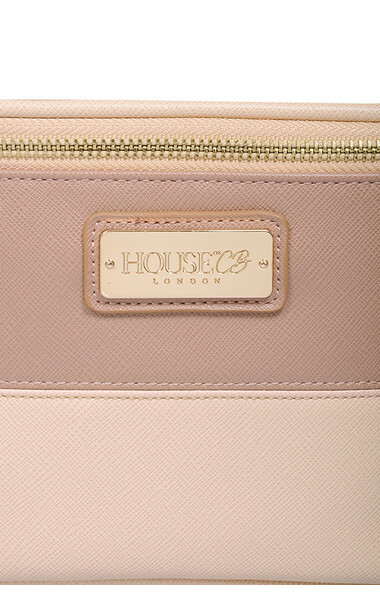 Lined in satin for a touch of luxe.